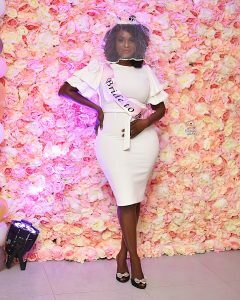 Actress Bibi Bright is set to finally tie the knot with her fiancée and baby daddy, Akwasi Boateng this weekend. 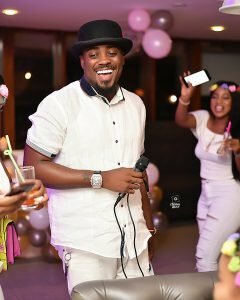 According to the Zylofon Media signee, her baby daddy, Akwasi Boateng has been around for long. Even before she welcomed her first daughter with another man. 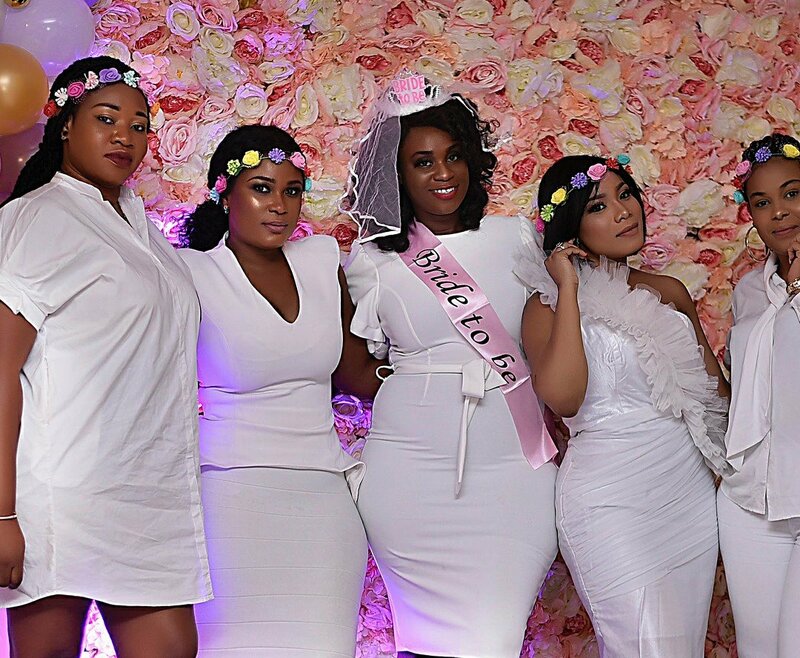 Bibi bright is a mother of two girls and she recently welcomed her first child with fiancée. 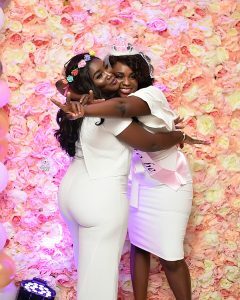 She gave birth to her second daughter, Imela, on March 25, 2018. However, she revealed her second labour experience was very painful. According to the secretary of the Creative Arts Council, her boyfriend is actually an old friend. She added that he gave him a promise ring in December, 2016 and she can not wait to get married to him. 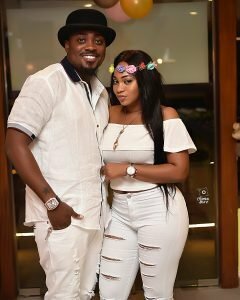 Bibi made these revelations in an interview with Joy News’ MzGee shortly after the birth of her second child. 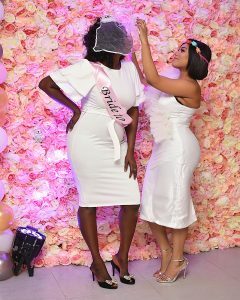 Gearing towards her journey as a married woman, her friends and colleagues surprised her with the usual bachelorette party. This happened on Saturday July 7, 2018. 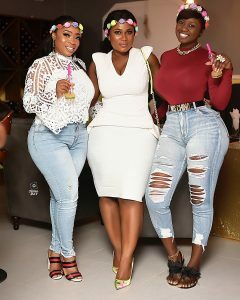 Present at the party were Moesha Boduong, Luckie Lawson, Zynnel Zuh, Too Sweet Annan, among others. Since the venue for the wedding is not public, many believe that is going to be a private affair. 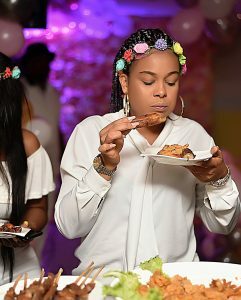 However, she took to her official Instagram page to extend her gratitude to her friends and colleagues for their kind gesture. “Friendships from 25yrs to 2hrs…. I cldnt be more thankful for my sisters.. it’s not easy surprising me but this bachelorette party is the best surprise so far. Never felt this loved! My davvi boo @zynnellzuh My melanin Queen @kejeronfabrics My tighter than tight @abidivabroni my Ace @onalia35_ My prayer partner @ms_mougharbel My Gambian Nubian Princess @princesshyngle @My baby girl @moeshaboduong My Ever beautiful @gene__vee My new Canadian friend #Eugenia My Everybody’s big sister @luckielawsonMy ride or die!! G4Lyfe @toosweetannangh Lord knows I love you guys.. thank you for the love shown. Forever in my memory… A&B2018,” she wrote. The bride to be also shared photos from the party.